Yesterday I was forced to face an ugly thing most blogger can relate to and all bloggers truly madly deeply despise: writer’s block. But I have learned to cope with it. Usually I just let pass a day or two and then a new sting of creativity – a fresh idea – hits me or just a very random thing wants to wiggle out of my mind. So I fully intended to sit out today’s post. Instead of writing something I played around with my phone and found myself reading some old posts. I somehow ended up with several posts about writing and writing styles. Oh the irony! And like when I read for the third time that an essential part of good writing would be to write about something you know a genius idea hit me: I COULD INDEED WRITE ABOUT SOMETHING I KNOW! Sometimes I cannot believe how smart I am! Whereas I don’t want to claim the part with the good writing for myself I do take the inspiration with a bow and talk about myself today out loud! 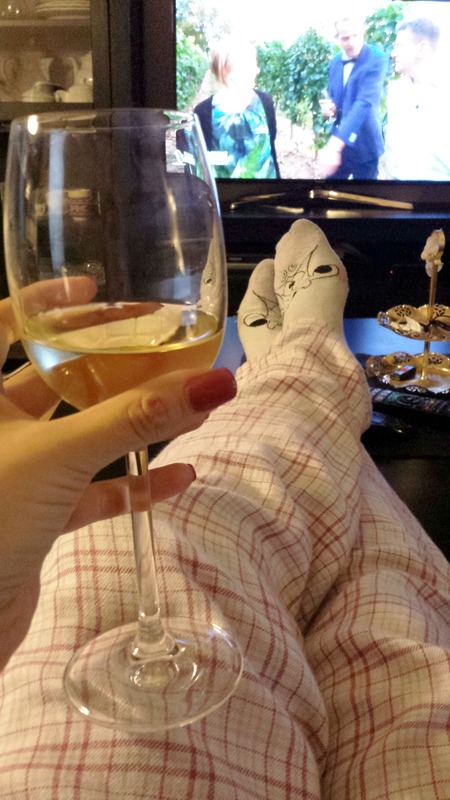 Yesterday I didn’t feel like Crossfit so I went home and had a glass of wine in my PJs instead. No regret! I don’t believe in Karma but I believe in balance. Being too happy for too long scares me. Feet are my least favorite part of the body – they are just disgusting! Loved reading these little facts about you! I have a freakishly long memory for random details too and am constantly aware of everything around me. I can’t just sit somewhere and enjoy a coffee, I always am looking around, taking note of all the people and situations… And can remember these events forever! Haha! And I think 30 is the best year of my life so far too – then again I did make one of the biggest changes in my life this year! I keep like almost everything a person ever told me. Sometimes when I am referring to stuff people are so astonished that I remember. It comes in handy for my job. It definitely helps building trustful relationships with my clients. This.. is.. awwwweesommeee. You are hilarious and truthful and I’d love to share a bottle of wine with you (#38…of course). #27… I’ve come to just accept I am a full out “black thumb” and nothing green and living should ever be trusted around me. Mom mom would adore you for #26. She’s obsessed with Polish pottery, but I let her get away with it because… uhh… we -are- Polish 😆 And 30 has been pretty epic for me as well so far. Here’s to things only getting better! I’m actually the complete opposite when it comes to memory. I don’t have that good of detail, but I’ll never forget someone’s name. That certainly came in handy this year when I was learning all 60 of my resident’s names! Thus far, the dirty thirties have been my best years. I adore Polish potter, pajamas and super silly socks. I am a control freak and I relate way more to Shaggy or even Scooby. Fred was too perfect, too much of Ken doll, in my not so humble opinion. Last but certainly not least, I fall asleep with my book clasped firmly in my hands every night, usually mid-sentence. The Hubby generally takes it away and sets in on my night stand. Fred totally reminds me of Ken, too! And that silly neckerchief! When I was still reading before sleeping a few years back I used to fall asleep with my books open, too. But there was none to take it from me at that time. Yesterday I fell asleep sitting on the couch with my glass still in my hand. Sometimes I wonder why I hate to go to bed so much because I love sleeping! PJs and silly socks rock!